Dr. William Wanamaker M.D. 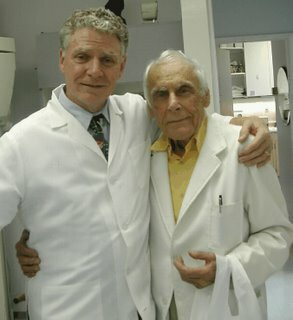 my patient and friend who sponsored me into the Royal Society of Medicine. Since the days when he was spry and wore his suite well creased. A man loved by his students and his patients and by all. “Aye Sir!” he said quickly, “That’s the message that was sent. The parade ground was enormous it took five minutes to cross. But he braced himself for action as he approached the place. The bar ...with every drink you’d want, even beer on tap. Said his new commanding officer, at which Bill paused to think. Were clinking slantés4, before noon, at a bar ‘a mile long’. Bill was married, had a family, ran a practice, did it all. He kept himself together, fit and active every day. It couldn’t take the strain, it wasn’t anybody’s fault. The trouble was he had to spend a lot of time in bed. As he lay thinned and failing on the med-bed neath the sheet. And a nurse was there attending the man we all adored. And was rewarded for my effort by the breaking of a smile. For an instant he was there once more standing on parade. A memory of one of the finest men I’ve ever known. Every now and then, the fervor of the ‘born again’ gets up my nose. I believe I am actually jealous of the acuity with which they can trot out the exact time and date when they were saved, the moment they met Jesus. They have had a spiritually transforming experience which has changed the course and the meaning of their lives. I can not say that! It is not that I am non-believer, I have always been a believer, some times not a very good one. I just do not know when exactly, in the years between three and six, the effect of a Catholic upbringing took seed. Whether it was it the teaching of the Lutheran missionaries in Koru or the nuns in Nairobi I can not recall. It just all made sense by the time I made my first confession and received my first Holy Communion at the age of seven. 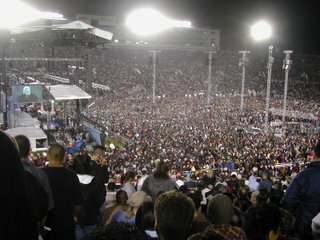 In 2004 we participated in the Billy Graham Crusade here in California. 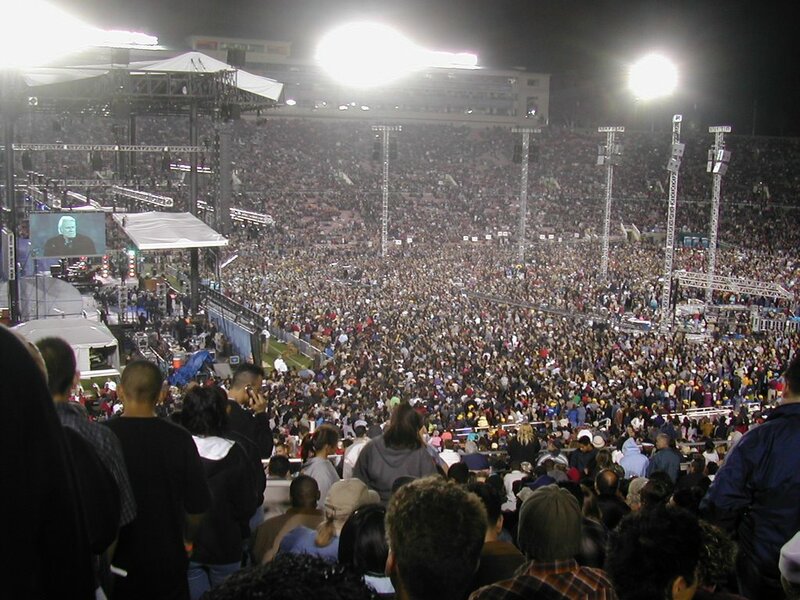 It was held at the Rose Bowl, that huge stadium in Pasadena. When the time came to make the altar call, thousands, I mean thousands, went down to receive the Lord and accept Christ. The whole field was covered with new Christians and those greeting them. Each one of the recipients will remember the time and date. I had already received Christ years ago, I was confirmed at fourteen, I stayed in the bleachers with my Christian buddies and watched enviously as hoards of others made that new commitment. Yet upon reflection my walk was strengthened that day, just as it was this weekend in Forest Home when with my family I returned to the San Bernardino mountain retreat where Billy Graham preached so many years ago. This time we heard the Reverend Mark D. Roberts who led us in an intensive on the Psalms. So what is the point now that you have got this far? Wherever you are in your spiritual walk, I feel confident that like me you will be strengthened by reading and trying to get the feel for the Psalms. Even the longest ones can be read in a few minutes and there is such a lot of inspirational truth in them. Mark D. Roberts has a new web presence called The Daily Psalm and I recommend it. You’re already sitting in front of the computer; this a great way to start each day with time-tested spiritual inspiration. It can really stop the “born again” from getting up your nose!